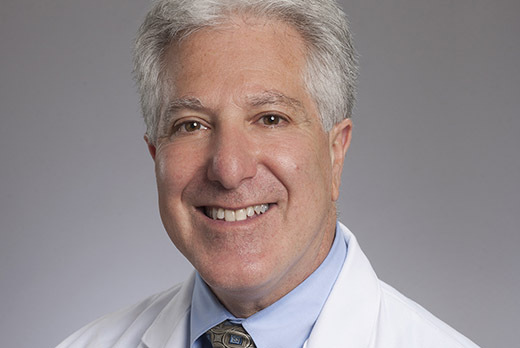 The U.S. Department of Health and Human Services (HHS) has appointed Emory neurologist Allan Levey, MD, PhD to serve on the Advisory Council on Alzheimer's Research, Care, and Services. He is one of six new members who will serve four-year terms beginning this month. The council, established in 2011, convenes quarterly to advise the HHS Secretary on federal programs that affect people with Alzheimer's disease and related dementias. It continues development and progress on the National Plan to Address Alzheimer's Disease by HHS, Veterans Affairs, the Department of Defense and the National Science Foundation. "It is a tremendous honor for Dr. Levey to lend his Alzheimer's disease expertise and leadership to this important advisory council," says David S. Stephens, MD, vice president for research in Emory's Woodruff Health Sciences Center. "His many years of experience as a physician and his diligent work as a neuroscientist are contributing to our understanding of brain diseases, like Alzheimer's disease and are helping us translate this understanding into clinical practice for patients and families in Georgia and around the world." Levey is a professor and chair of the Department of Neurology at Emory University School of Medicine, and the Goizueta Foundation Endowed Chair for Alzheimer's Disease Research. He also serves as director of Emory's Alzheimer's Disease Research Center and has secondary faculty appointments in the Departments of Pharmacology, Psychiatry and Behavioral Sciences. He serves as interim executive associate dean for research in Emory School of Medicine. An internationally recognized expert in neurodegenerative disorders, Levey's work has contributed to understanding the brain systems and mechanisms involved in disorders such as Alzheimer's and Parkinson's diseases, as well as in identifying molecular targets for new therapeutic strategies. Levey's research interests include fundamental research into the cause of Alzheimer's disease and related neurodegenerative disorders and development of new biomarkers and treatments.